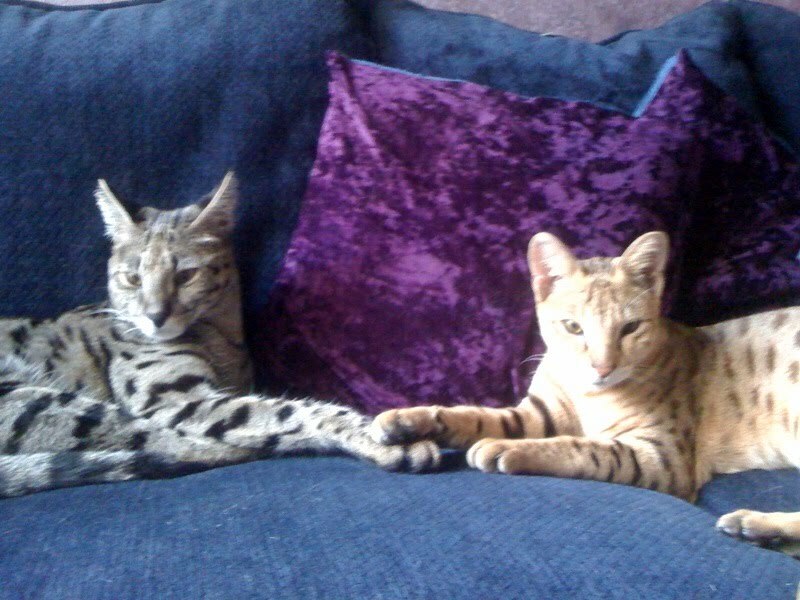 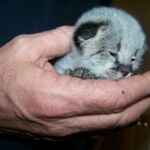 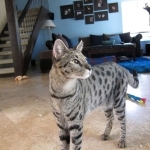 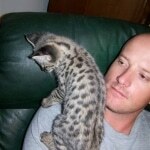 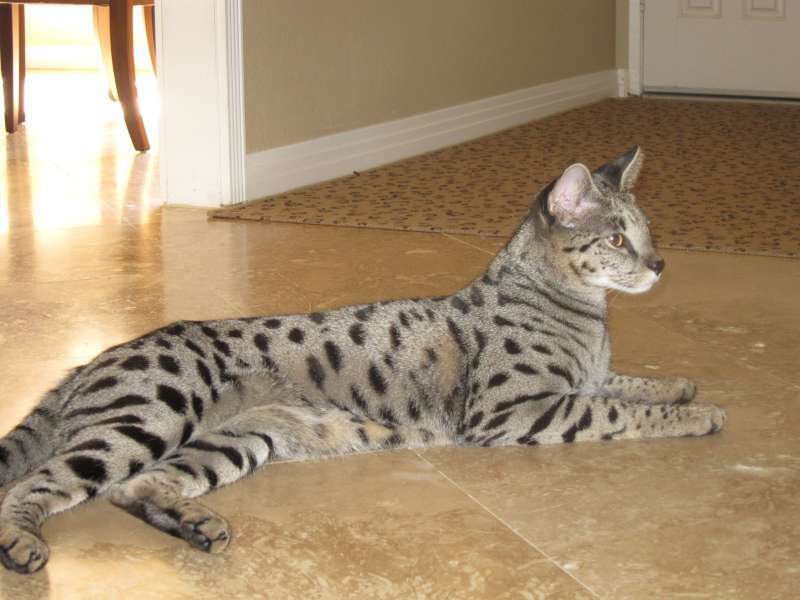 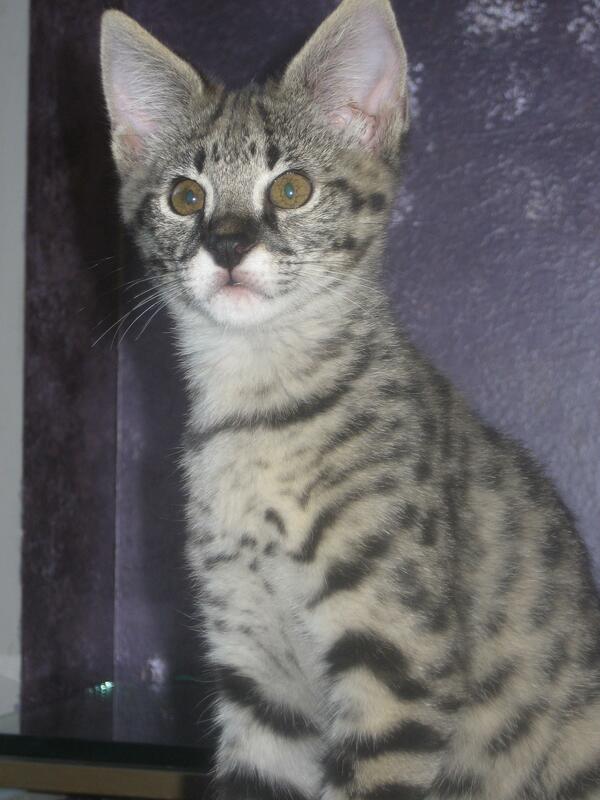 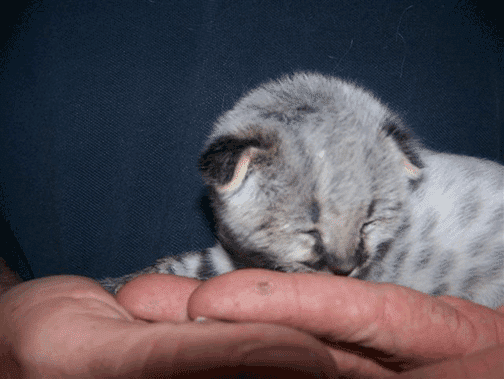 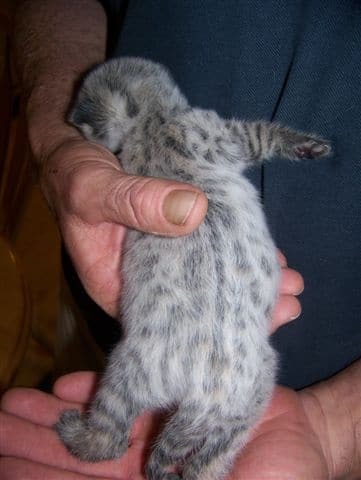 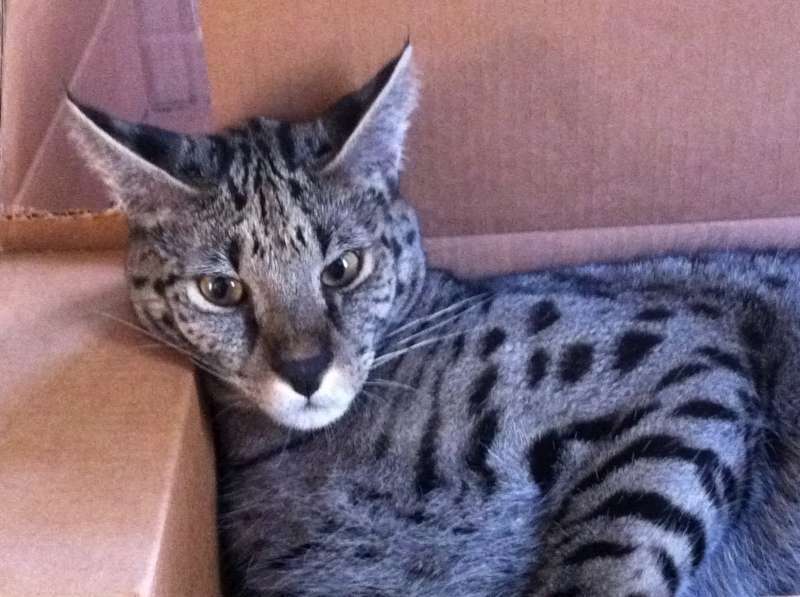 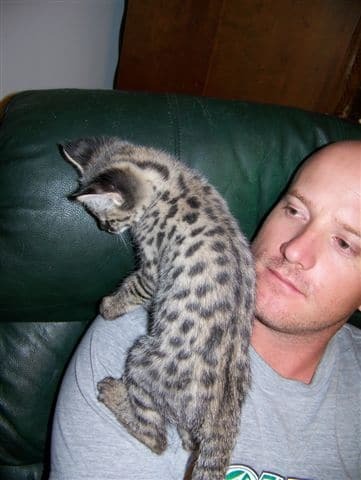 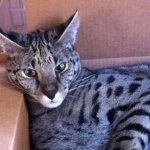 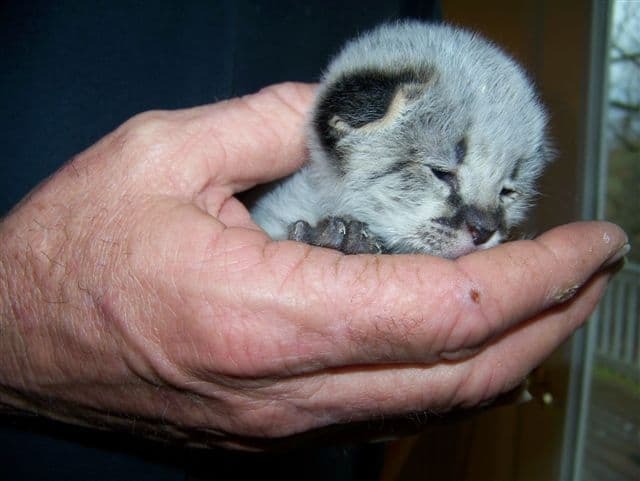 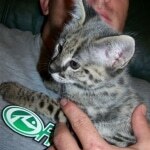 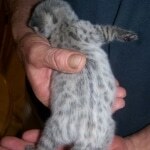 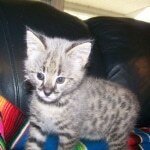 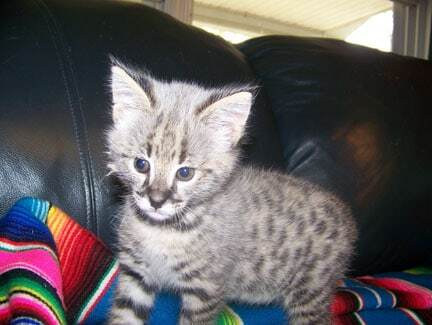 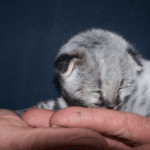 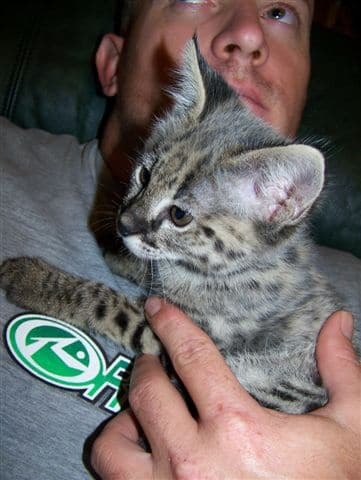 F-1 Female Savannah "Zulu" (formerly Slick) born 3/22/09 is the newest member of Lysa and Randy family in California. 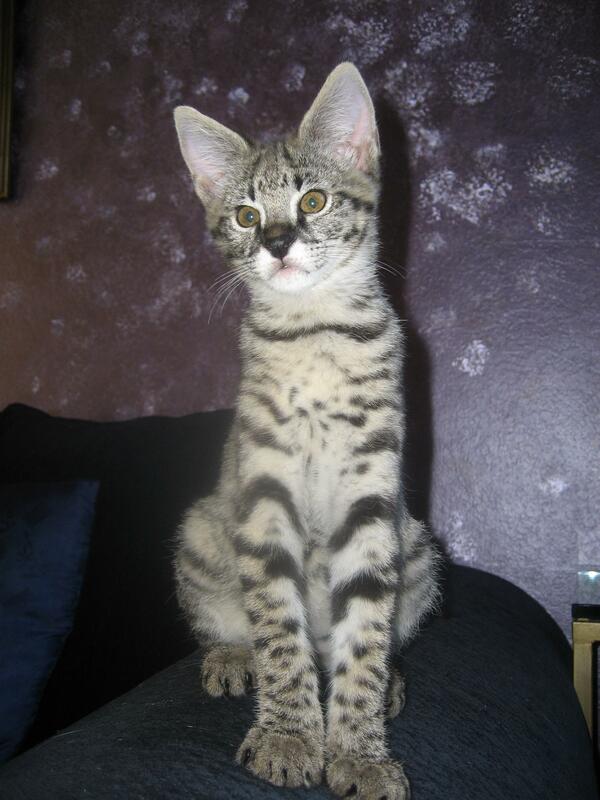 She is a fabulous little girl! 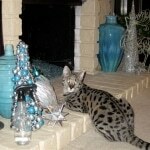 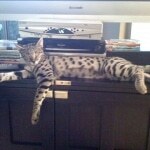 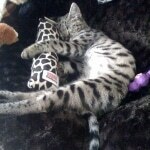 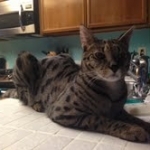 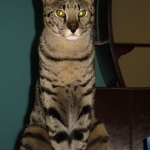 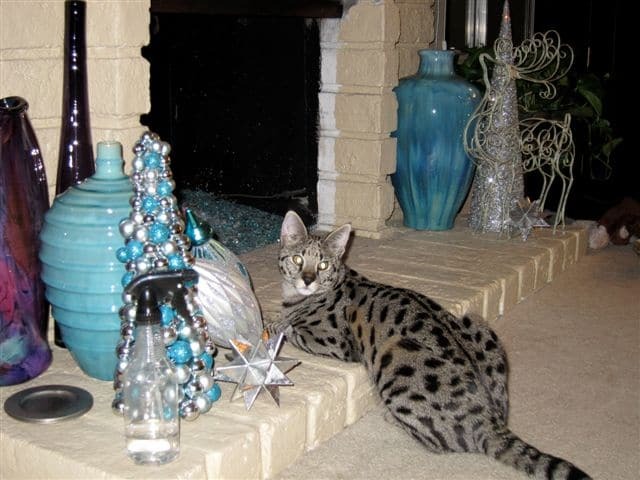 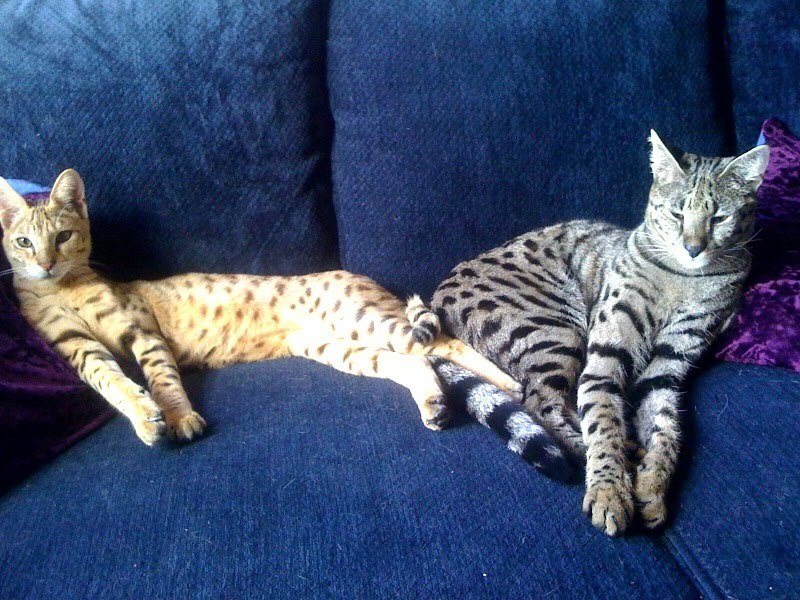 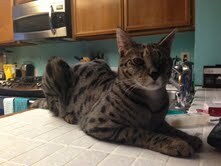 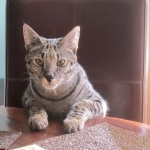 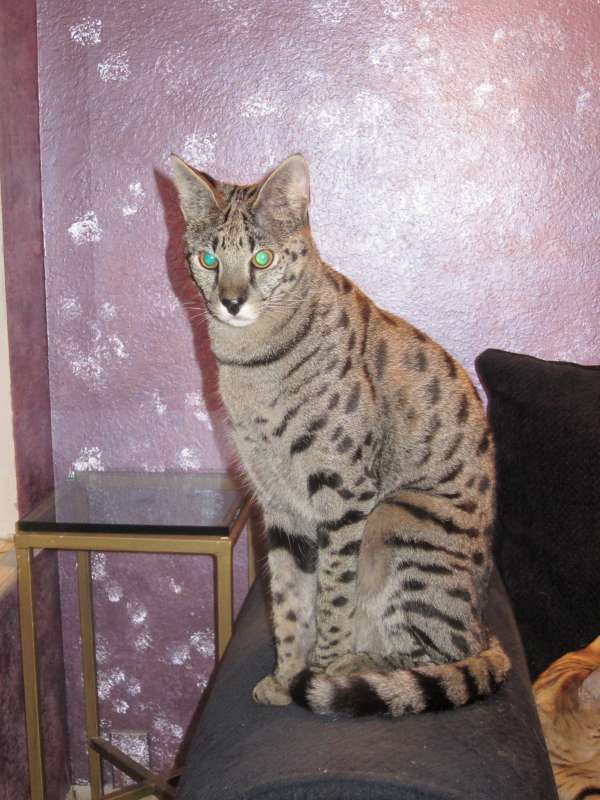 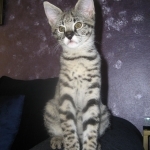 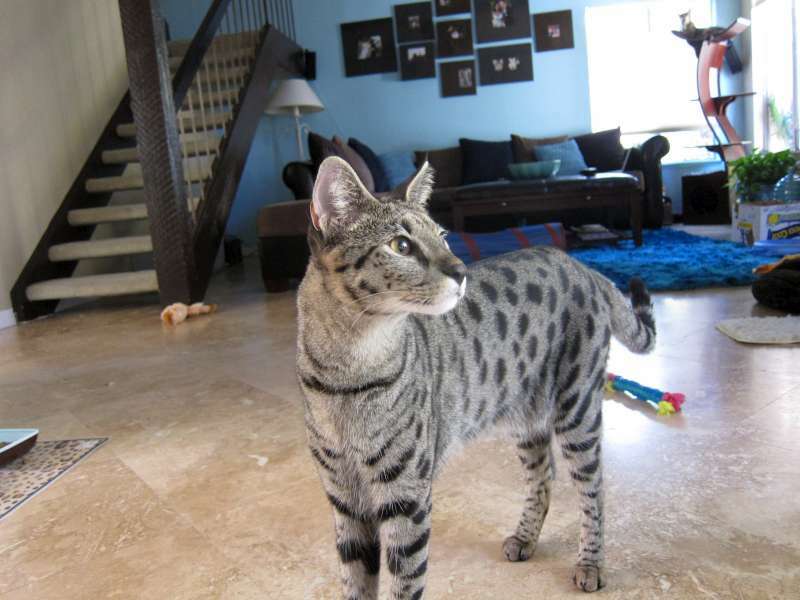 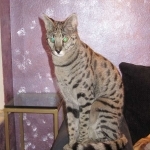 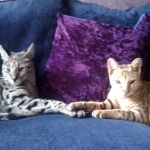 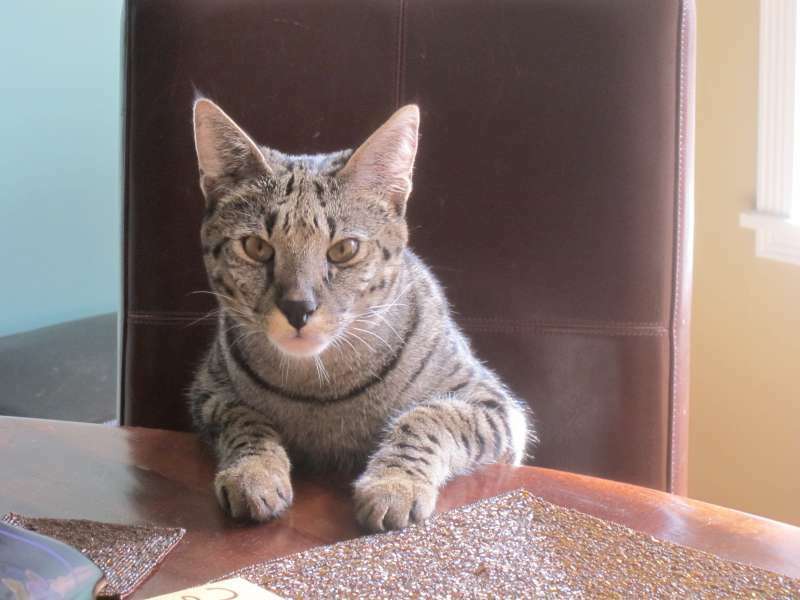 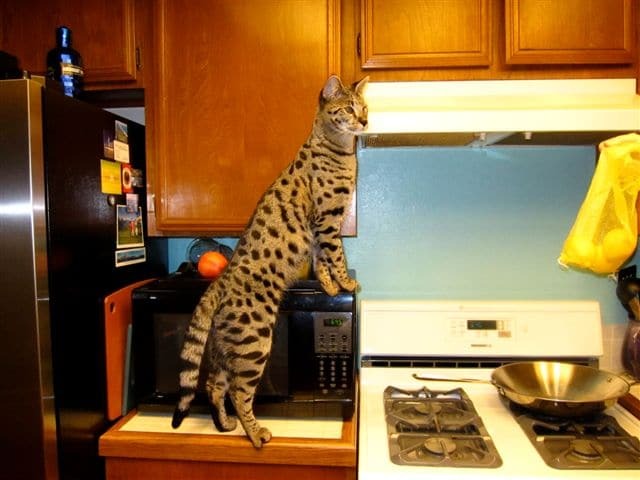 This is F-1 Zula female Savannah shown here at 8 months, 17 pounds. 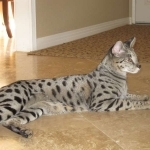 She is spectacular and well love by Dr. Lysa in CA. 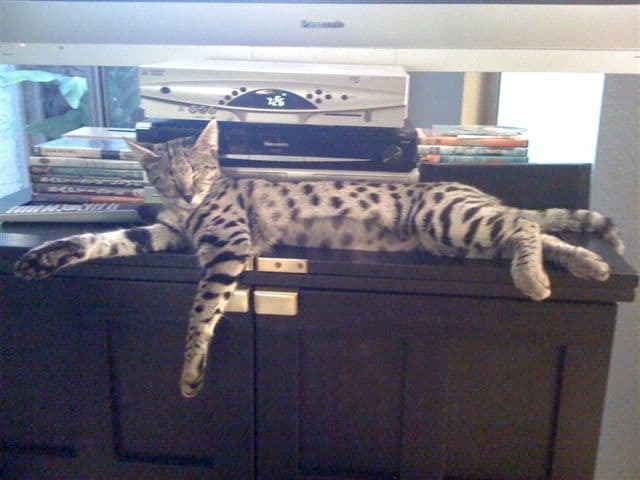 Shown here just a few days before her first birthday she has grown into a spectacular cat! 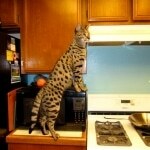 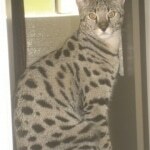 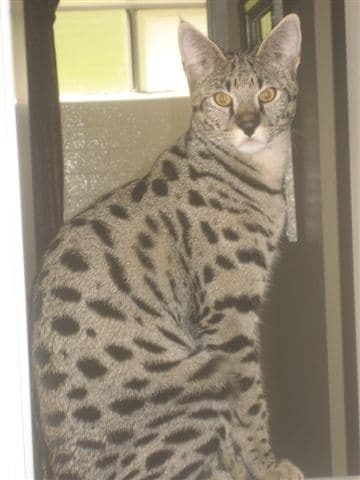 Zulu, shown here at 10 month is a classic f-1 Savannah female. 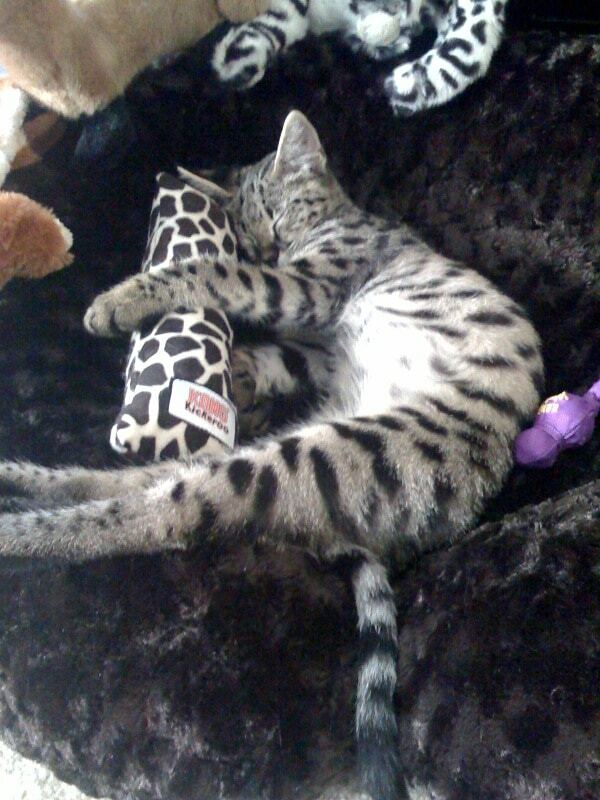 She continued this funny behavior for about 2 weeks, and then all of the sudden, she was in love with Duma! 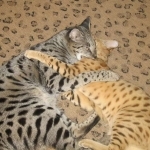 And now they are great friends and they play chase and kitty wrestling often :) I even caught them almost cuddling the other day. 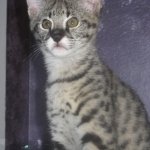 She seemed to be a bit insecure and in need of more than usual affection. 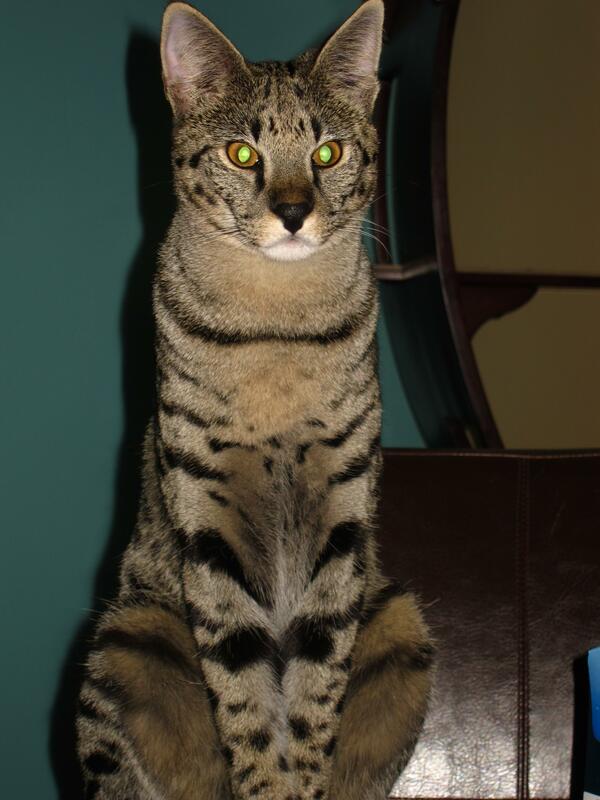 In addition, she may have been a bit mad at me because she would drag my pillow all around the house and tear apart my side of the bed. 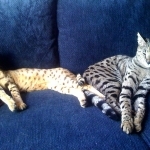 In July, we added one more beautiful savannah to our kitty family.At first, Zulu wasn't so sure about the little new guy. 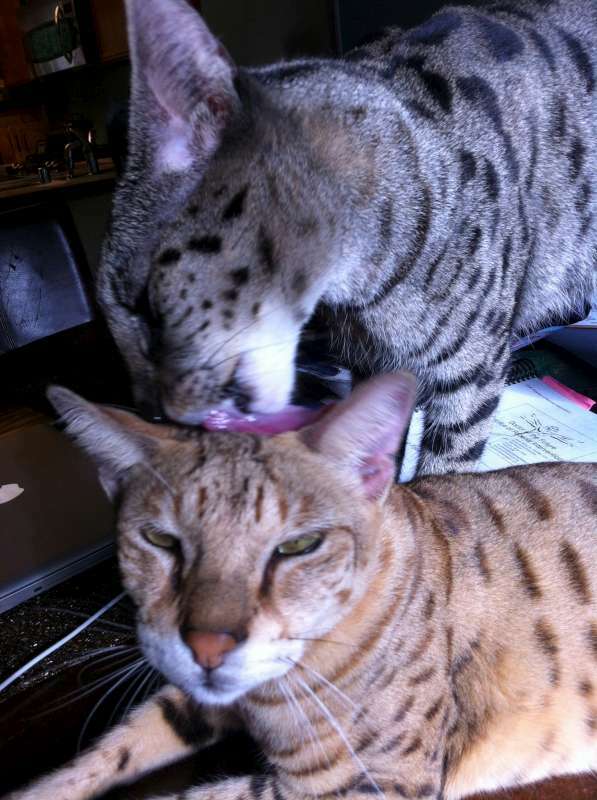 She likes to hold him down and kiss him all over, even when he walks right up to her while she's eating and puts his face in her food bowl and eats her food! 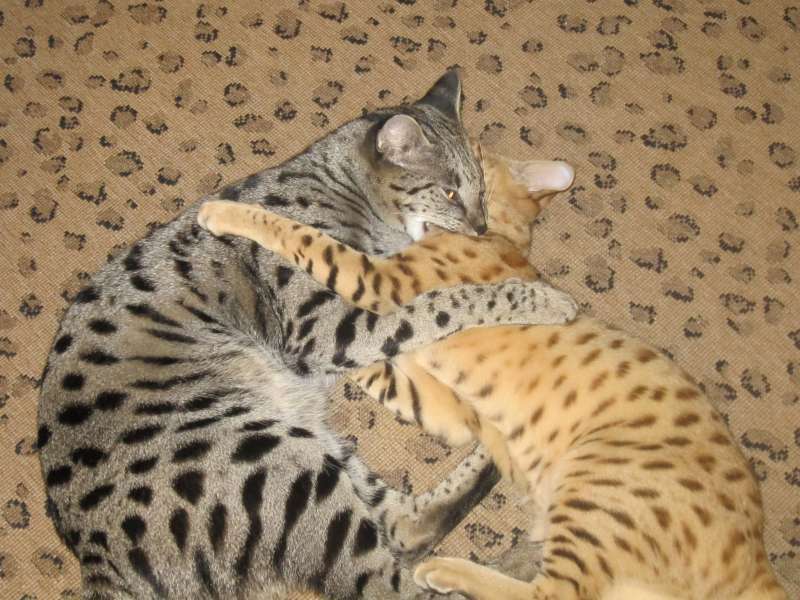 Zulu LOVES her brother Duma so much and they play regularly. 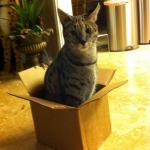 She and Maximus are not as good of friends as Maximus can be kind of a jerk sometimes, but they tolerate each other.She loves cardboard boxes, no matter what size. 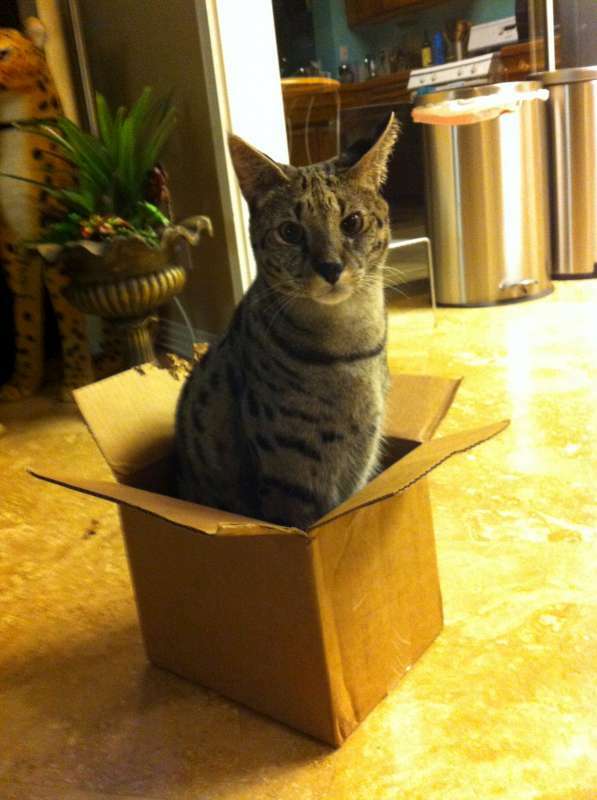 She likes to sit in them and chew them up, whittle them down, and sleep in them.